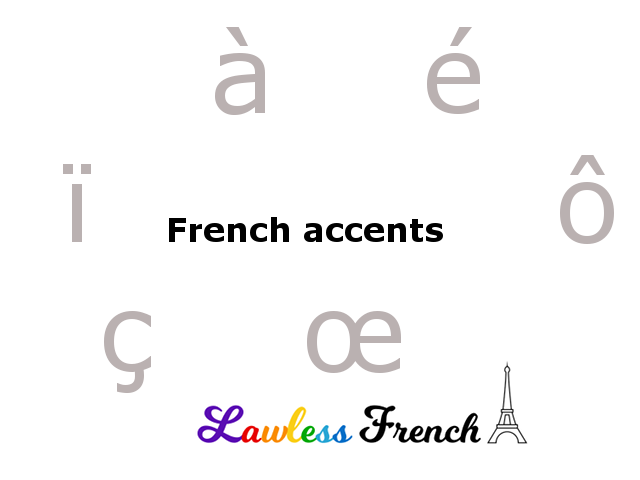 Only three French vowels can take the grave accent: à, è, and ù, and the purpose of the accent depends on the letter in question. On the letter e, the grave accent is a pronunciation marker, indicating that the pronunciation is [ɛ]. In French, this sound is most commonly found in closed syllables. When spelling out loud, è is called e accent grave. Note that there are other spellings which create the same e sound – see lesson on E.
é_er to è_er verbs: é (e accent aigu) changes to è in the affected conjugations. e_er to è_er verbs: the first e changes to è in the affected conjugations. On the letters a and u, the grave accent has nothing to do with pronunciation; instead, it usually serves to distinguish between words that would otherwise be spelled identically. I’d really like to thank you though, it was very enjoyable to read. When I discovered your column I was already getting to the advanced levels and they told me I could skip one and just reinforce; Lawless French felt like fell from heaven. Je vous remercie millions !